More than 16,000 individuals attended the American College of Cardiology’s (ACC) annual meeting last weekend, March 16-18, in New Orleans. 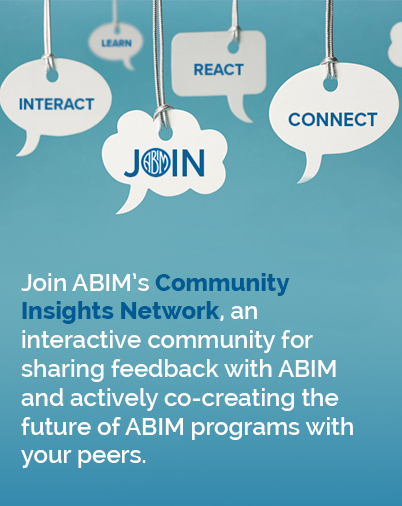 While ABIM has attended ACC’s annual meeting and those of other medical specialty societies in the past, this year was of particular importance because it marked the official launch of a Collaborative Maintenance Pathway (CMP) for cardiologists who wish to maintain their ABIM Board Certification via an ACCSAP-based educational curriculum and performance assessment beginning in fall 2019. Later that afternoon at the “Heart to Heart” stage, ABIM’s Chief Medical Officer, Dr. Richard Battaglia, and Cardiovascular Disease Board Chair, Dr. Olakunle Akinboboye, spoke on a panel with representatives from ACC, the Heart Rhythm Society (HRS), the Society for Cardiovascular Angiography and Interventions (SCAI), and Heart Failure Society of America (HFSA). The society leaders from HRS, SCAI and HFSA expressed their excitement about working together with ACC and ABIM on the new assessment pathways for Clinical Cardiac Electrophysiology, Interventional Cardiology and Advanced Heart Failure, and Transplant Cardiology that are anticipated in 2020.